Buildings are the key to success in Elvenar. To build buildings you will need to open the Buildings menu by clicking it's button in the Main menu. 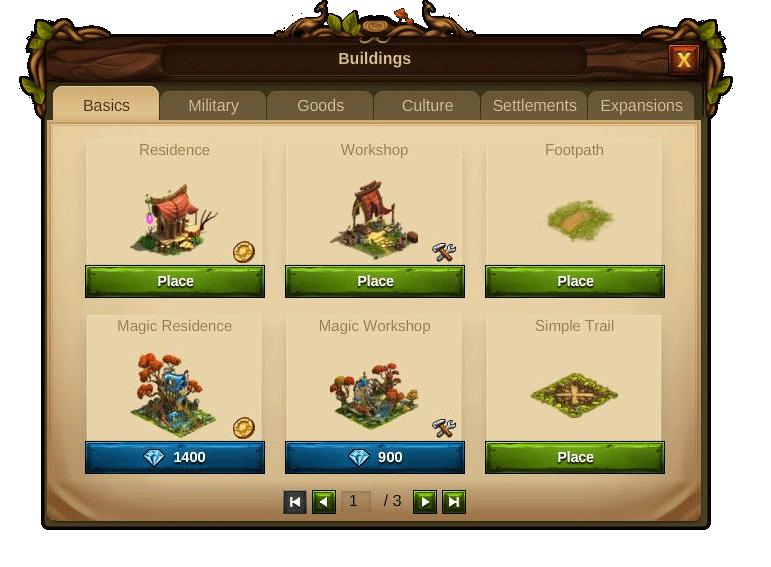 Buildings are sorted into different categories and you can choose them via the different tabs. Buildings have different sizes, which can also vary from one upgrade level to the next. They can be moved but not rotated. Most of the buildings can be sold. 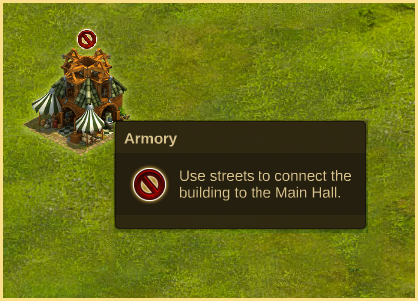 You will need to connect the majority of the buildings to the Main Hall with streets, otherwise the construction won’t start and buildings won’t activate. Most buildings can be upgraded and they can go up to level 15 at first. They will begin as Basic Buildings, are upgraded to Advanced Buildings and will improve to Superior Buildings. The interval between Basic, Advanced and Superior Buildings varies from building to building and it is also different for each race. Research is required in order for a building to upgrade to the next class, and for each new class the building will also require more space. After chapter 6 you are introduced to a new race - Dwarves - who will bring new upgrade possibilities for some of your buildings. Those will be the “Dwarven Style” buildings. The arrival of each new race will also allow you to keep upgrading some of your buildings and have new styles for you to enjoy. Hint:Throughout the Wiki, you will be able to see the required building size per level for each type of building, on its building information table. You can sell and rebuild most of your buildings. 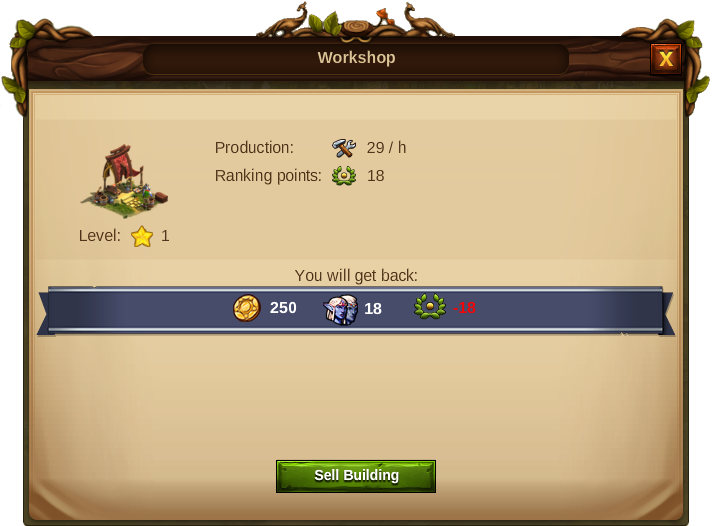 In order to know which resources you will get back from selling a building, just enter sell mode by clicking the icon , hover your mouse over the building and you will see a tooltip with that information. 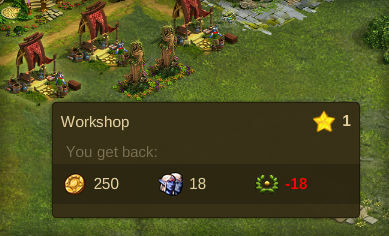 Hint: You will not get back any resources from selling some of your buildings, such as premium ones or Ancient Wonders, so be aware of the warning window that will show when you attempt to sell a building. This page was last modified on 10 August 2017, at 00:19.